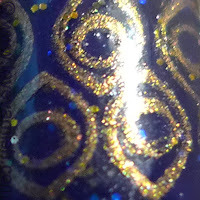 Did you enjoy the gorgeous Glix Polish Midnight Booze I showed you yesterday? Hope you did! I liked it too much to take it off after one day but because I want to get better at stamping I thought I'd decorate it with a fancy design! 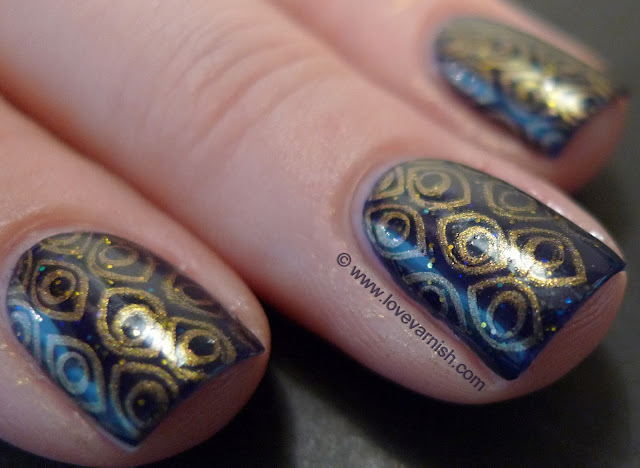 I used H&M Golden Treasure for the stamping, combined with BM212. H&M Golden Treasure stamped really nice and easy! I made a few mistakes in the stamping but luckily they weren't on my blog nails ;) so you can't tell haha! Any plans for the weekend yet? I have 2 of my closest friends coming over tomorrow, we are going to dinner, have fun, go out, and they'll stay over here so we'll be having breakfast Sunday too! Love having them around and seeing them, we've been friends since I was 15 which is almost 10 years ago. Waw this looks beautiful ! Looks awesome!!! Reminds me of Aladin and that kind of Eastern things, love it!